arMHAzena Box the right WMS size for your business! Adapted and prepared for managing simpler, streamlined logistics processes. ArMHAzena BOX is the WMS produced by MHA prepared to manage simple, optimized logistics processes. Best of all, it has all the characteristics to fit your business perfectly. 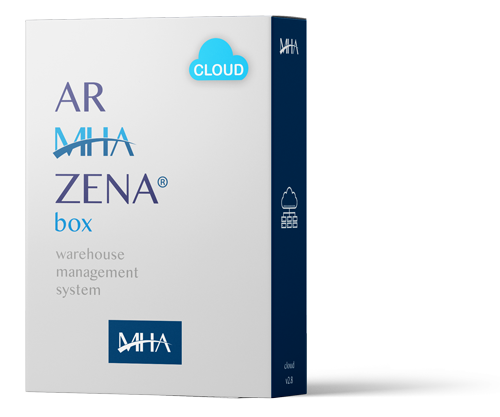 arMHAzena® Box is abridged version of arMHAzena® Full, both developed and maintained by MHA. It focuses on small and medium-sizes operations that need a safe and efficient stock management tool but that do not have the financial resources to purchase and install the full version. arMHAzena® Box, was initially designed to be sold solely in American countries whose native language was English or Spanish. However, in 2017 MHA started distributing this translated version in Brazil. (*)a 5Mbs link ensures operation performance for up to 10 stock operators and 5 back office users. (**)minimum smartphone requirements: 1.2 GHz Quad Core Processor; 1Gb RAM; 5Mp autofocus camera and F2.2 aperture; Wi-fi 802.11b/g/n; Minimum Operational System: Android 5.1 Lollipop; Minimum screen size: 4.5”. The average price of this set is approximately R$700.00. Talk to us about compatible brands and models. (***) the voice solution uses Vocollect™ equipment and applications for Android smartphones. (****) Can function with all types of RFID classification EPC 1and 2. Only available in SaaS, for rent, arMHAzena® Box is designed to be used and implemented as a service. arMHAzena® Box is more affordable, making it the ideal logistics solution for anyone who wants to have a powerful inventory management tool, but save on license purchasing cost, servers or operating infrastructure. 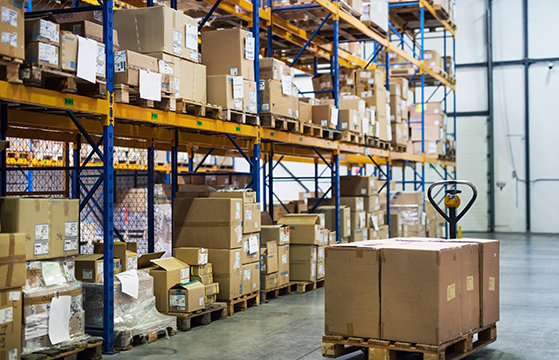 Services are enabled within two days of acquisition, and the operation tool within the warehouse enabled within a week, after registries and access rules are loaded. The difference between the two product versions is that arMHAzena® Box offers fewer configuration and parameterization features, eliminating all of those which are unnecessary for medium and small operations. Regarding everything else, arMHAzena® Box contemplates all functionalities of the full version: entrance gate, scheduling, reception, storage, separation, inventory, resupply, handling , conferences, dispatch, management module with reports, queries and BI. However, in all such features, arMHAzena® Box operates with a single parameterization/configuration setup of logistics rules, from reception to shipping. More specialized particularities, which require new parameterization cannot be met by this version of the product. arMHAzena® Box is 100% cloud, that is, you can operate the system with an internet link of only 5Mbs (*) anywhere in the planet. 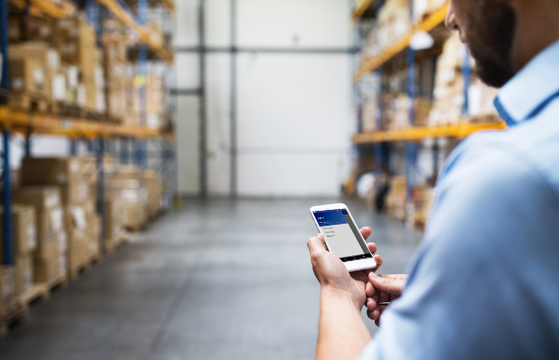 The operators in your team can use smartphones (**) to conduct reception, storage, picking and shipping operations. The low cost of smartphones compared to dedicated collectors is directly reflected in the cost of installation of the operation and enables the automation of the storage process. In addition, smartphones can also use RFID technology and voice recognition equipment for separation. MHA’s seventeen years of experience in the logistics sector allowed us to concentrate all the necessary requirements into a compact product suitable for small or medium-sized operations. arMHAzena® Box was specially designed to meet, with minimum parameterization, the operations of small and medium-sized distributors, retail stock, technical services companies’ warehouses and logistics operators, as well as the so-called “flash-operations”, those in which you need to control stock temporarily. Your business probably already operates within a management control system, in which you have already recorded your customers, products and suppliers, right? arMHAzena® Box is equipped with an interface module based on API, which allows Excel files to be imported, thus allowing you to upload your records with a single touch on the screen of your mobile device. In addition, in the same module you can also export information so that incoming, sorted and / or shipped product information can be made available, via text or Excel files, to be imported by your management system.